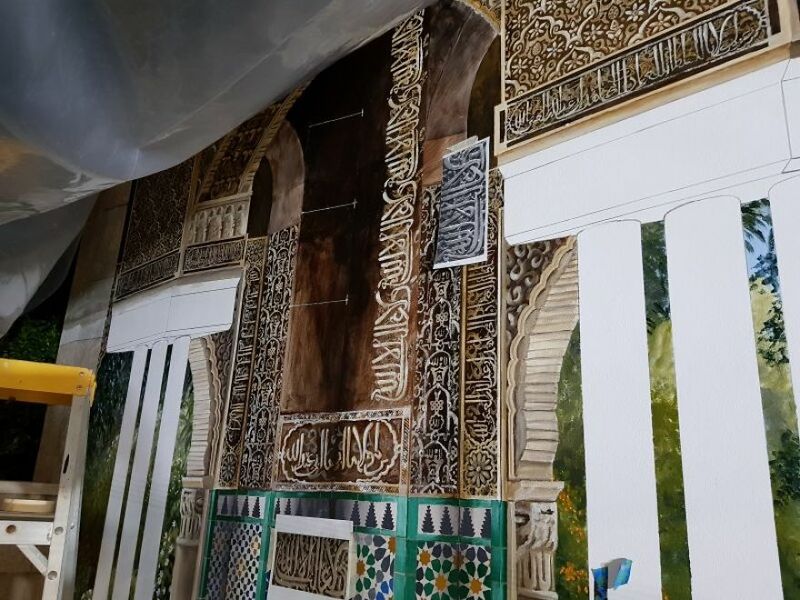 Over a hundred painstaking days researching, measuring and painting and this crazy talented artist really has something amazing to show for it. 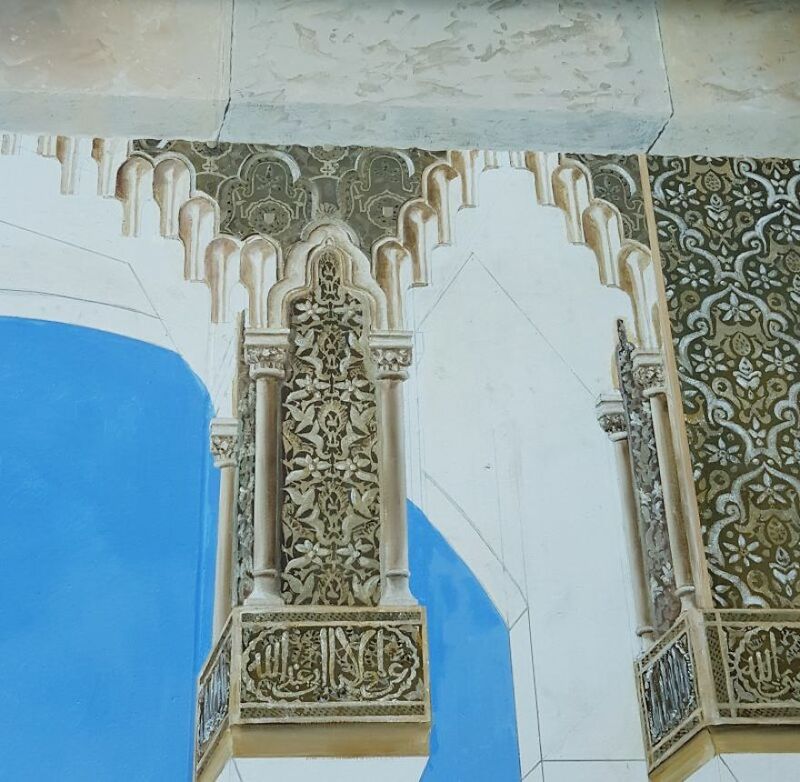 The famous Alhambra Palaces in Granada, Spain, are full of history, soaring arches, intricate carvings, and stunning tiles. 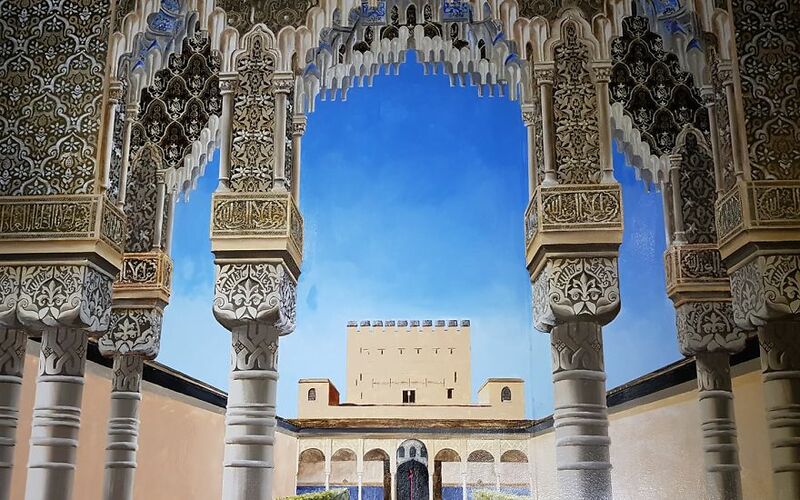 And in late 2018, artist Jacqueline Hill took up the challenge of recreating a piece of the palaces as a huge mural spanning 10 meters long and 3.5 meters tall. 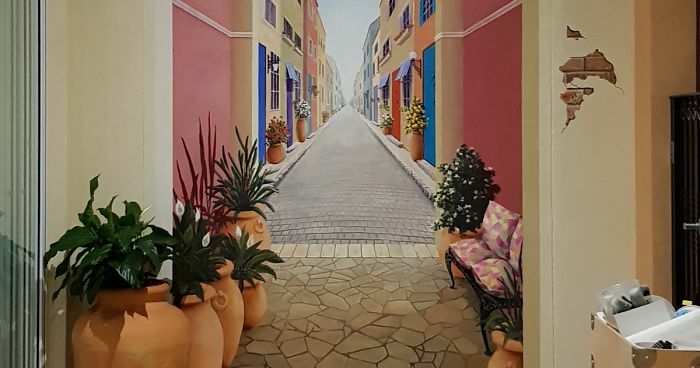 Jacqueline originally trained in the mathematics and sciences, and now her paintings have featured in multiple awards and galleries and have sold all over the world. Her knack for numbers and geometry blends perfectly with her artistic eye for color and talent for painting. Trompe l’oeil in French means “to deceive the eye” — an accurate description of Jacqueline’s 3D mural art. Many who walk past do a double-take; they are so surprised at how real her murals appear. Trompe Alhambra is without doubt one of her most spectacular achievements. She developed new techniques for this job, her perfectionist streak not letting anything less than accurate pass her brush. But she’s not stopping yet. 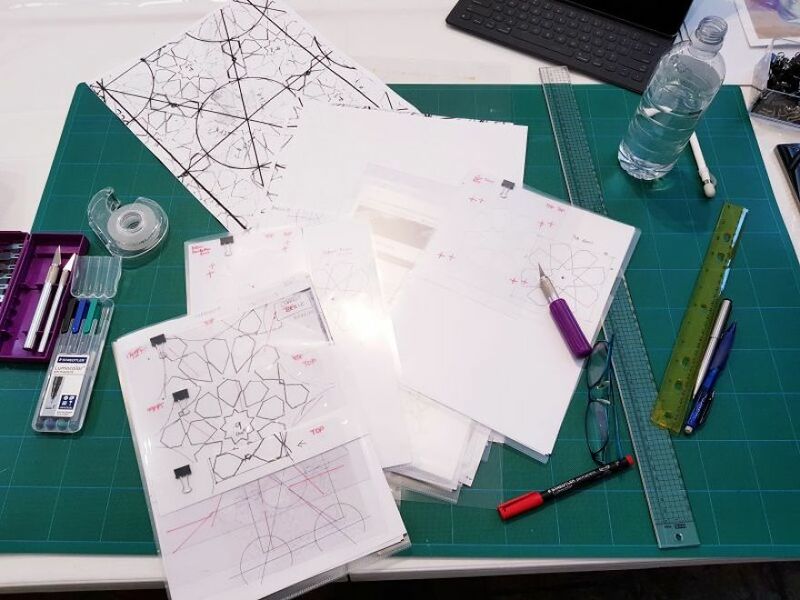 Jacqueline is at Crystal Castle for another special trompe l’oeil commission, and she already has bookings continuing into the year. Painting wasn’t the only work that went into this masterpiece! All these “carvings” are paint on a flat wall. This is how it looks finished. Everything you see on this wall is painted, even the stone edging! This crystal castle is still in progress. Day 22 working on Trompe WingWall. Even the cracks on the side are painted. The perspective and horizon is spot on.